It also supports a regular blog pages e.g. 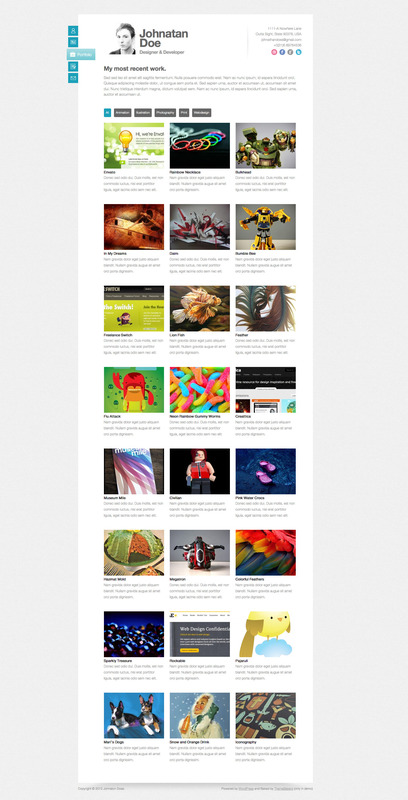 main blog page, category and single page unlike other vcard themes here on themeforest.net which doesn’t even support a regular blog. It has been developed keeping in view the basic principles of SEO optimized wordpress theme i.e. to use H1 for page headings and placement of page/post data before the sidebar data even. Also you can set the site keywords, description and author meta tags’ values from the Options Panel. 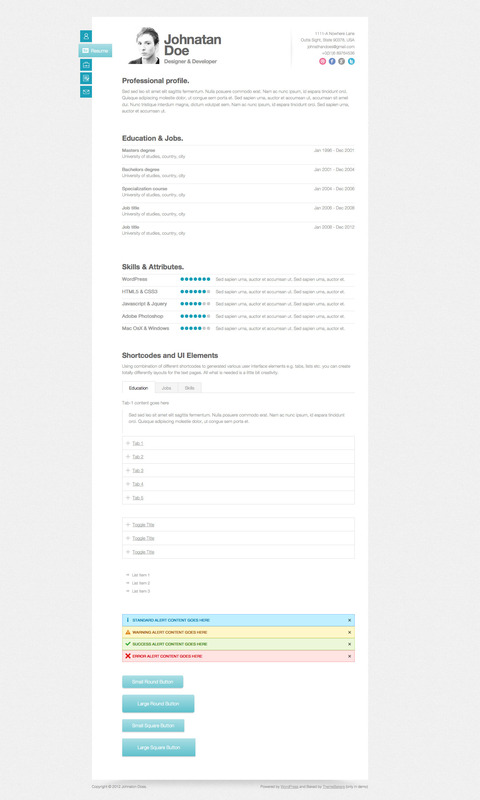 The theme options panel is powered by Envato’s official theme options plugin OptionTree. All images used in the live preview are from flickr just for demonstration purpose and are not included in the download package. Right now we don’t have a dedicated forum to support our themes so please either post your comment in the comments page or contact us via contact form in our profile page. Good, easy to follow directions. Thank you for a great looking theme!! - Updated the button shortcode to let you specify the target window in which to upload the url of the button. - Added the target=“_blank” attribute to the social urls in the right sidebar. 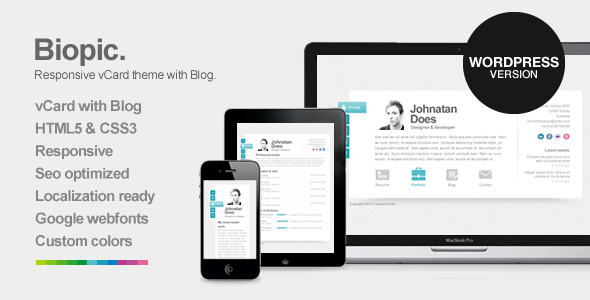 - Updated the theme as a whole to better meet the latest themeforest WordPress quality standards. - Note: This is a big update so you will have to update the whole theme. 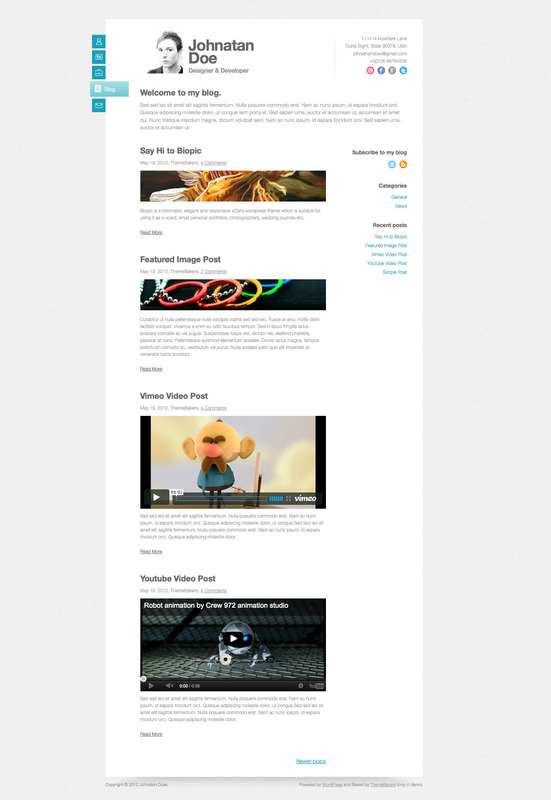 - Added some layout fixes regarding portfolio page and added formatting support for ul and ol within the blog posts. April 29, 2013 fixed filtering issue in portfolio page for category names longer than 2 words. February 14, 2013 fixed links issue within the content in the portfolio page. October 16, 2012 updated the Twitter widget to make it compatible with Twitter API update. August 27, 2012 With this update, the Biopic theme is now compatible with OptionTree 2.0. June 24, 2012 Fixed the Recent Works widget display issues in the sidebar. Fixed bug related to distortion of images for full width blog page. 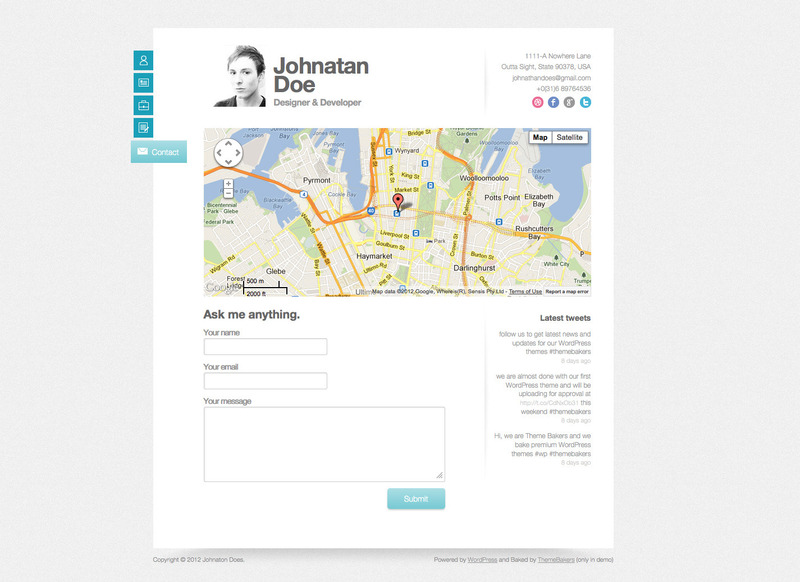 Updated blog single.php page to support full width feature. Added new options in OptionTree for changing background pattern or use a solid color. June 3, 2012 Added new option to enable you to disable sidebar in blog page and use it as a full-width page. May 28, 2012 updated help files with new instructions and screenshots for using custom menu icons.